Machete (Elops affinis) | Better Know a Fish! 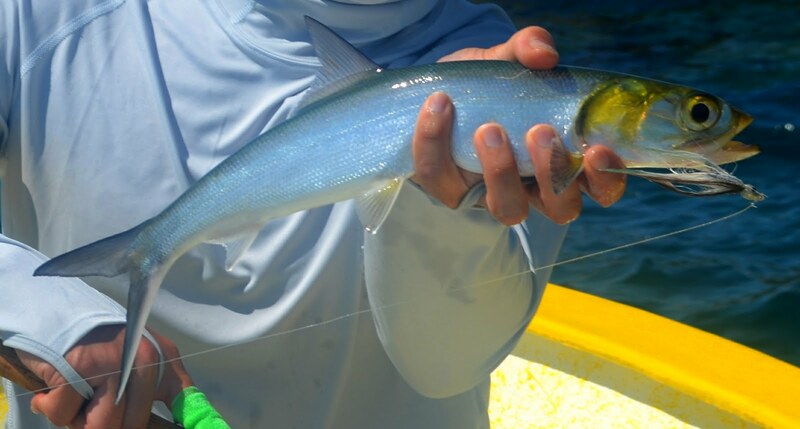 The machete (Elops affinis) is one of several species of the ladyfish family, Elopidae, which occur in tropical to subtropical waters of the Pacific, Atlantic and Indian oceans. All have silvery, blade-like bodies — reminiscent of the machete knife — which leap clear out of the water when hooked by an angler. Ladyfish provide a sporting fight with their acrobatics, but anglers also catch them to use as bait for other gamefish. The lithe bodies of ladyfishes have an unusual origin — stages of metamorphosis that begin with transparent, ribbon-like larvae called leptocephalus (McBride et al. 2010). The haunting, alien bodies of the leptocephalus larval stage is unique to only a few groups of fishes — including eels, bonefish and tarpon. The machete itself can be found along the eastern Pacific coast in Mexico and Central America, north to Ventura, California, in the United States and south to Peru. They can reach lengths of 3 feet (90 cm), although most individuals are around 20 inches (50 cm). Interestingly, in historic times, machete could also be found in the waters of the Colorado River. The Colorado River once flowed through to Mexico and into the Colorado River Delta and the Sea of Cortez (Gulf of California). Machete and other fish species utilized this estuary habitat, travelling between the saltwater of the gulf and the freshwater of the river. Records show that machete could be found as far inland as the Salton Sea in the 1940’s (Dill and Woodhull 1942) and the mouth of the Gila River — in Yuma, Arizona — as late as 1997 (Minckley and Marsh 2009). The situation of these waters and fish movements may change yet again, as a 2013 amendment to a U.S.-Mexico water treaty promises to return more water flow through to Mexico and the Colorado River Delta. Dill, WA and C Woodhull. 1942. A gamefish for the Salton Sea, the ten-pounder, Elops affinis. California Fish and Game 28: 171-174. Gehringer, JW. 1959. Early development and metamorphosis of the ten-pounder Elops saurus Linnaeus. U.S. Fish and Wildlife Service Fishery Bulletin 59: 646-647. McBride, RS, CR Rocha, R Ruiz-Carus, BW Bowen. 2010. A new species of ladyfish, of the genus Elops (Elopiformes: Elopidae), from the western Atlantic Ocean. Zootaxa 2346: 29-41. Minckley, WL, PC Marsh. 2009. Inland fishes of the Greater Southwest: chronicle of a vanishing biota. University of Arizona Press. 426p. Regan, CT. 1909. 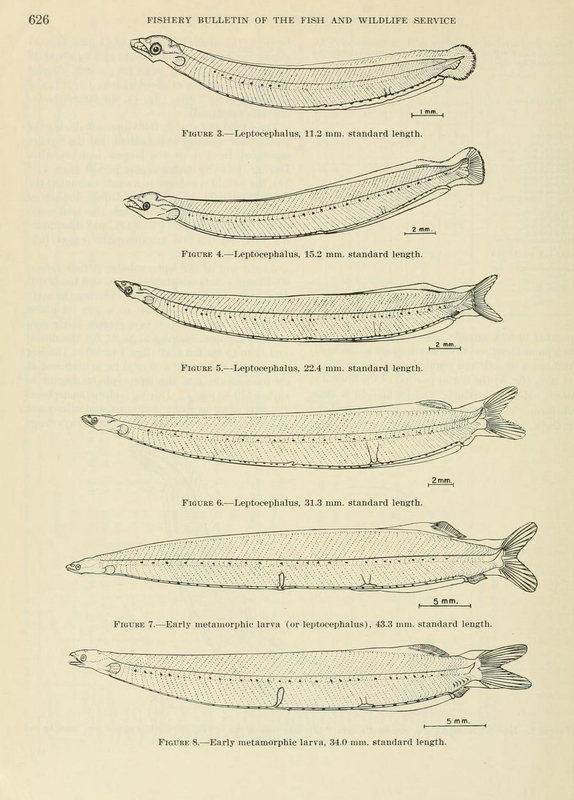 A revision of the fishes of the genus Elops. Annals and Magazine of Natural History 3(8): 37-40. This entry was posted in Actinopterygii, Elopiformes, Estuarine Fish, Freshwater Fish, Marine Fish and tagged baitfish, Colorado River, Colorado River Delta, Elopiformes, Elops, Elops affinis, gamefish, ladyfishes, machete, malacho del Pacifico, North America, Pacific ladyfish, Pacific Ocean, Salton Sea, tenpounders. Bookmark the permalink.